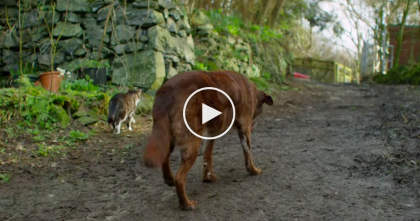 Stray Cat Is Helplessly Stuck In A Tree, Terrified And No One Noticed Him… BUT Watch The Ending! But when these two men saw what was happening? They hoisted a ladder above someone’s roof in order to reach the stranded cat! And is it the scariest thing ever – the cat is dizzily high up there! Yikes! 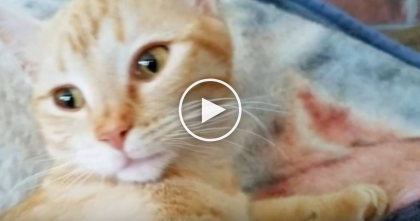 Kitty’s Tummy Was Extremely Swollen, But When They Checked Back The Next Day… OMG?! 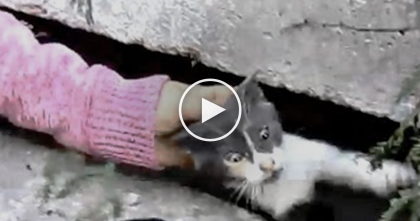 They Heard A Terrified Meowing Sound, But When They Discovered What It Was… Wow! 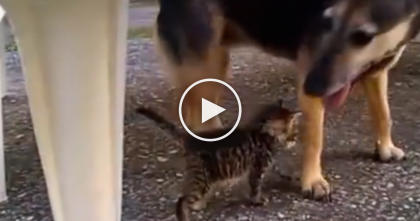 When You See What This Stray Cat Does For His Best Friend… I’ll Never Forget THIS.